Accursed or Innocent? Lordship “Salvation” Teachers. Question: Is a Lordship Probation “salvation-by-works” teacher, preacher or proponent accursed when he perverts the Gospel of God’s Grace — on purpose, inadvertently or out of ignorance? Does it matter? Question: Why would anyone preach such if he knows and believes the true Gospel of God’s Grace? Should we assume therefore he does not know or believe the Gospel? These are open discussion questions. I have my ideas but would like to hear yours. SBC preaching, for the most part, “repent of sin or turn from sin salvation,” on purpose, inadvertently or out of ignorance? “The Gospel is to repent of your sins and believe the Gospel.” On purpose, inadvertently or out of ignorance? MacArthur, Chan, Piper et al knowingly preach Lordship “Salvation” that if one does not follow Christ — he can not become or is not a believer in Christ. On purpose, inadvertently or out of ignorance? Calvinist Teaching — one must persevere to the end for salvation. On purpose, inadvertently or out of ignorance? Arminian teaching that one can never have complete assurance of salvation. On purpose, inadvertently or out of ignorance? Our friend Eddy, in Bruce’s previous article Proceed with Caution: “ONE” Conference Coming to Miami, has commented and compiled an exhaustive list of Conference teachers who pervert the Gospel. 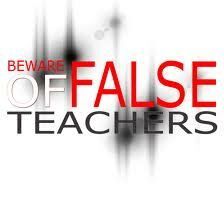 We have written scores of articles on this web site exposing teachers who spoil the Gospel of God’s Grace. It appears there is no end of “popular” teachers/preachers who are willingly or deliberately falling prey to the works based Lordship “salvation” (Probation) lie of Satan. God, By His Grace,, Offers Heaven Free To You. This entry was posted in Bible, Calvinism, Chan, Christian, Christianity, Danger, Faith, Free Grace, Grace, Hope, John MacArthur, John Piper, Lordship Salvation, Reformed theology, Rick Warren, Salvation. Bookmark the permalink. Aldersgate is enshrouded by legends, much like Darwin’s deathbed conversion story. Some in free grace circles think Wesley got saved. Wesley himself considered it a spiritual experience, like any other. I have heard Wesley quoted as confessing that he had converted many others but not himself. I’m confused. He discovered Luther. He thought Luther was too fanatical about grace. Wesley was also a follower of mystics and an ecumenical. He was Emergent. He did some good works with abolition. Unlike previous reformers, he did not continue the legacy of shedding blood. Wesley is another gateway to the church fathers, which leads back to Rome. Holly, I also think Michael is sincere, but he just doesn’t see his contradictions. Phil… just thinking on John MacArthur and the audacity (and lack of fear in trembling) to redefine what Jesus said in His Word. His book TGATJ is awful. Worse than the Spurgeon ‘Turn or Burn’ Sermon, he mixes up so much that he is plain self-condemned. If he can’t admit it, simply ask his wife if he lives up to his own standards. They all admit they don’t but that they ‘try’. Well, how faithful is faithful? Just is a merry-go-round that you can’t get off because more and more of them are surrounding it pushing faster and faster. John, your response to Michael should actually be a stand alone blog. I believe it would be very helpful to many who hear the same confusing and contradictory language within the same sentence or thought. I believe what you said was very clear and Biblical, thank you for taking the time to illustrate all that was just not lining up with God’s Word in Michael’s statement. I believe he believes what he is saying, but is not realizing he is much like the politicians who spin what is really said into a different reality. And I mean that with no unkindness, just noticed the similarities. What do you mean by ‘true faith’? Do you mean one who possesses eternal life will produce works? The Bible is clear in each epistle that if a believer does not DO certain things they can be barren, and unfruitful, enemies of the gospel, deceivers, worldly, carnal, even lose their life (consequently not bearing fruit), so I guess I’d like to ask that question of you, otherwise your comment is so long if I responded to all it would become confusing and we know that isn’t of Him. Phil, Merry Christmas to you and your family! famous “Altergate Confession” seemed to resound in eternal security. Where he trusted in Christ alone for salvation and was assured by God of his eternal security. That is until you get beneath it. Wesley came out of the C of E theology where one’s assurance of salvation was considered presumption. Today’s UMC is very liberal in lots of ways. I was even at a church board meeting where this church leader made fun of people who say they are saved. It wasn’t long after that that I talked to the pastor and told him, this is the wrong church and why I was leaving. Talk about a flawed gospel…glad I never returned. Michael, Merry Christmas, as well as to everyone on this Oasis of Grace! Michael, I think you are sincere about what you say; but I think you are sincerely wrong about some things… Faith is faith; works are works: grace is grace, They mix about as well as STP and water–about as well a mercury and water. So there is no such thing as faith/works, or faith-that-works, or works that vindicate our saving faith. There is such a thing as faithfulness, but our faithfulness cannot save us; only Christ’s faith and faithfulness save us. Especially if it is an irresistible compulsion that inevitably affects all of the elect. A member of a United Methodist church told me yesterday that Christ compels him to do good works. That is Calvinism, lol. Michael, you are still mixing grace and works, faith and faithfulness. You go back and forth between what Christians SHOULD do and what they WILL do. You said: It was an illustration to the fact that heroes of the faith, which we know are saved according to God’s Word, demonstrated their faith by their actions; not as a necessary prerequisite to be saved, nor as an accompanying trait to remain saved, but as an inevitable result that they were saved. My comment: NO! It was not an inevitable result. If it was inevitable, these would not have been heroes of the faith. It is inevitable that heroes of the faith will be heroic. It is not inevitable that every believer will be. Inevitability makes it a requirement. A requirement of faithfulness to prove one is saved makes eternal life no longer a gift. You said: The process of sanctification seems to look different for each person. My comment: Why? Does God not want every believer to be 100% faithful? If He does (and I believe He does), why are believers not 100% faithful? How much faithfulness is enough to establish that someone has eternal life? You said: I agree, there is nothing a person must do to prove they are saved. My comment: Then why are you here? What is your point, exactly? You said: We ought also to work by, for, and through Him out of love for Him and what He has done. My comment: Agree. OUGHT TO! You said: Look at the end of the passage of John 10. Jesus makes the appeal to the Jews that if they don’t believe in Him, to at least believe in the works He is doing because the works reveal that He is from the Father. I’m not stressing that works save or keep us saved. I don’t believe that lie for one skinny minute. However, what we do reveals the truth. My comment: Jesus was including His miracles in that passage. He used them to demonstrate who He was. What we do reveals the truth of what we do. It does not reveal whether or not we have eternal life. You said: Abraham truly did believe. But how do we know that? Because of what he did. He obeyed God. My comment: WRONG! We know Abraham believed, because scripture says he believed. See Romans 4:3. You said: Faith, as Adrian Rogers says, is belief with legs on it. My comment: NO! Faith is belief. Faithfulness is belief with legs on it. Why would you use this quote favorably, unless you think that works are necessary to prove faith? You said: True faith will inevitably produce good fruit. I believe the bible makes this plain. Again, we don’t do works in order to be saved; we don’t do works in order to stay saved; we do works because we are saved. Another way to say it is this: You have been saved. Now, grow in grace and knowledge, and apply it for the good of the bretheren and for God’s glory. That’s all it is. It’s not nebulous. It’s not another gospel. It’s biblical. My comment: You are saying two radically different things in one short paragraph. The fact that you cannot see the contradiction astounds me. You mention inevitability again, and by fruit, you seem to mean works (at least, that is what you said in your prior comment). You say that we do works because we are saved. Then, you say to grow in grace and apply it for the good of the brethren and for God’s glory. Again, if it is inevitable, why do we need to be challenged to do it? You said: To say or hear yet not do is self-deception; to know the truth, to claim to believe the truth, yet not practice it… this is doublemindedness; to think we can give lip and/or ear service to God but not actually practice what we claim to believe. God won’t be fooled by this. My comment: You are correct that God is not fooled. He is not fooled by lack of faithfulness of believers. That is why there is a judgment seat of Christ. It has nothing to do with receiving eternal life, but it will result in greater or lesser rewards for believers, based on faithfulness. And, God is not fooled by those who claim to believe in Christ, but are actually trusting in Christ plus works for eternal life. Michael, your most recent comment has not changed my understanding of your views at all. You vacillate seamlessly between statements that affirm grace, and statements that deny it. Your affinity for MacArthur, a renowned works salvationist, does not surprise me. He does the same. My wife said I was too easy on you the first time. She was right. You are free to distribute your deceptive views however widely you wish – with the exception of here, at Expreacherman, which is an oasis of grace. Johninnc, my comment that James was conveniently absent stands as true. There was no mention of it in this specific comment chain prior to my comment. I didn’t realize there had been prior articles or discussions about James here. In fact, this was the first visit I made to this website. I was brought here while doing research on Paris Reidhead to determine his doctrine. I’m no bible scholar. I’m a simple layman. I agree, Jesus did not die for demons, but for mankind and ultimately for God’s glory. I agree, perfection is required to enter the full presence of God. This is only made possible by faith in His Son, Jesus Christ – the perfect, spotless, sinless, guiltless Lamb of God. My mentioning of faith and obedience has nothing to do with the attainment or retainment of salvation. It was an illustration to the fact that heroes of the faith, which we know are saved according to God’s Word, demonstrated their faith by their actions; not as a necessary prerequisite to be saved, nor as an accompanying trait to remain saved, but as an inevitable result that they were saved. Please recognize this distinction – there is an enormous world of difference. Now, the argument goes – as shown here Phil R’s comment – that what amount and what quality of works should we expect, and for what duration? This seems the logical following, but it is too rigid. I think the term for this process is sanctification. I don’t necessarily think we can narrow this down to a checklist, though, obviously we ought to look at scripture mandates and commands and examine ourselves and ask God to work in us accordingly. The process of sanctification seems to look different for each person. This isn’t nebulous. As I understand, this is orthodoxy. I agree, there is nothing a person must do to prove they are saved. To label me a deceiver or deceived so flippantly without testing what I’m saying against the truth of scripture is a shame. Thanks for your prayers. RAS, I will counter your question with a question. Where in scripture do we find the word trinity or rapture? We don’t, yet these are doctrines we’ve established. I don’t share your understanding of the book of James at this time, so I will respectfully disagree. Hobbs, what I said was not meant to condemn but to challenge. I do think some people, like Francis Chan, focus too much on doing. This can potentially confuse and mislead some believers into thinking they are not good enough. Some teachers are too extreme and by consequence of this, some believers misunderstand what’s said and focus on themselves. I felt this myself after reading his book, Crazy Love. We rest in Christ and His finished work. We are saved by, for, and through Him alone. We ought also to work by, for, and through Him out of love for Him and what He has done. William, a paralyzed man can bring God glory just as much as a physically able one. If you thought my position contrary to this, you’ve misunderstood me. Love is the greatest fruit and commandment. We can love from the heart, in thought, and through speech. It is not limited to deed alone. I don’t question if the person is still saved. God will righteously make that judgment when the time comes. But you’re neglecting the prior verse and surrounding context of 2 Timothy 2. Look at the latter half of verse 11 and the whole of verse 12, “If we have died with him, we will also live with him; if we endure, we will also reign with him; if we deny him, he also will deny us”. Look at verse 15, “Do your best to present yourself to God as one approved, a worker who has no need to be ashamed, rightly handling the word of truth”. Look at the last half of verse 19, “Let everyone who names the name of the Lord depart from iniquity”. Look at the end of the passage of John 10. Jesus makes the appeal to the Jews that if they don’t believe in Him, to at least believe in the works He is doing because the works reveal that He is from the Father. I’m not stressing that works save or keep us saved. I don’t believe that lie for one skinny minute. However, what we do reveals the truth. Much of what remains in your comments is your making extrabiblical appeals to prove a presumed interpretation. I don’t think there’s much use in my arguing these things. The bible is its own best interpretation. Anon, I think you’re missing the greater point in James. Abraham truly did believe. But how do we know that? Because of what he did. He obeyed God. James says that his faith was made complete by his works. Abraham’s actions showed that he had faith. Faith, as Adrian Rogers says, is belief with legs on it. God told Abraham to go to a land that He would show him. He obeyed. That’s faith at work. Other than that, I agree with your assesment. True faith will inevitably produce good fruit. I believe the bible makes this plain. Again, we don’t do works in order to be saved; we don’t do works in order to stay saved; we do works because we are saved. Another way to say it is this: You have been saved. Now, grow in grace and knowledge, and apply it for the good of the bretheren and for God’s glory. That’s all it is. It’s not nebulous. It’s not another gospel. It’s biblical. RAS, you need to read 1 John. You say “LSers” – a title I do not claim – believe that those who hear and do not do are deceived. I do believe that wholeheartedly because we see this literally said by Jesus in Matthew 7:21-27 and 1 John 4:20-21. These people say one thing but do another. The contrast of the builders is that they both hear, but one fails to do what he hears and is counted as foolish and his house does not survive the judgment. To say or hear yet not do is self-deception; to know the truth, to claim to believe the truth, yet not practice it… this is doublemindedness; to think we can give lip and/or ear service to God but not actually practice what we claim to believe. God won’t be fooled by this. As I understand it, all those men and myself alike are simply saying is that we ought to act like what we believe – to refuse to say and claim, yet not do; to refuse to hear the truth, yet not practice it. We ought to do good works and bear fruit in accordance with our faith, by the power of the Holy Spirit, for the good of others and for God’s glory. This is what scripture commands and what we see other faithful men in scripture do – not to be saved, not to stay saved, but because we are saved and because we love God. Is this not what the bible plainly says again and again? If so, then what is the point of contention? Why say I’m a deceiver? I clearly tell you now that I renounce any notion of faith + works = salvation; this is damnable. BUT, I do believe that true faith ought to show forth itself in works, not to attain or retain salvation, but born out of love for God. Merry Christmas to each and every one of you. May this time of the year serve as a blessed reminder of God’s perfect provision through the wonderful gift of His Son, Jesus Christ – the spotless Lamb of God who takes away our sins; the only one through whom we can be saved. May He receive all glory and honor due Him. Amen. Thanks for the additional encouragement. Hobbs, good idea to compare. John, thanks for pointers in dealing with these types of comments, all very useful. Likewise, I’m now learning to at least compare the KJV with, for example, the NIV. It’s very enlightening to see how the original texts are being degraded in favour of legalism. Man leading himself into a ditch… or worse. Indeed. That website was addressing believers who had the seeds of doubt already sown in their minds, whether by experiences or other false teachers. Escaping the cults can be like jumping out of a specific pan, into a general fire. Lordship salvation is the very life of the cults. Jason, so many people and sites serve only to sow doubt and confusion with believers, and to keep lost people from understanding the truth. It seems that all throughout churchianity history, beginning with the Judaizers, there were people who pushed back against this clear biblical teaching. That includes a church “father” who was said to be a disciple of John, quoted Tobit (apocrypha), and said that good works result in the resurrection. That includes an unstable Catholic monk who was said to have popularized “faith alone”. That invalidates a lot of worshiped heroes. Yesterday, I came across a website that said, “If you don’t know you are saved, THEN YOU ARE NOT”. The emphasis was theirs. That puts strong qualifiers on faith. Sure enough, as I looked at more articles, I saw the usual LS garbage. Hobbs, I look for key phrases in comments to reveal their real points. My comment: STOP. RIGHT. THERE! This, alone, is enough to discredit anything else that Michael had to say. He takes issue with the claim that works play no part in saving faith. The Bible is explicitly clear that we receive eternal life by grace alone through faith alone in Christ alone. Michael takes issue with this claim. In other words, he is saying he does not believe it. Phrase 2: I say this not to cast doubt or condemn, but to push back against any notion of belief only, for James tells us that even the demons believe and shudder. My comment: To push back against any notion of belief only is to push back against the testimony God gave of His Son. Michael is saying that he believes that the truth that eternal life is received by grace alone through faith alone in Christ alone is really just a notion, against which he needs to push back. In other words, he has reduced God’s word about the salvation of mankind to a notion. Phrase 3: I’m not advocating sinlessness or perfect obedience as necessary to prove or attain one’s salvation. My comment: Why not? The Bible says one must be perfect to get into heaven. The only way we can have this perfection is to have Christ’s imputed perfection, which we receive by grace alone through faith alone in Christ alone. Michael suggests some pattern of behavior is necessary to establish that one has received eternal life. The problem is, neither Michael, nor anyone else, can ever define what constitutes a pattern. So, Michael is really saying that one needs to trust in the pattern of his behavior for eternal life, rather than trusting in Christ. And, according to Michael’s patently false theology, if the pattern doesn’t seem good enough, one would need to try to believe in Christ again until the pattern test is passed. Commenters such as Michael may think they are serving God, and that they are ardent, even zealous defenders of the faith, but they are really just deceived, deceivers, or both. Thanks Holly, think Michael’s comments must have been more subtle than those of Travis previously, to me at least, as the former didn’t have the same effect. Much appreciate the defenders of grace here. William -loved the word picture of the fruit trees, especially in understanding of what it takes. Cut off the irrigation, or the wrong kind of light, or not fertilizing, so many variables in seeing fruit come from the gardens. I know He’s given us the simple instruction to abide in Him because we need Him to do anything, and to continue in His Word if we want to be disciples. Unfortunately I see too many continuing in men’s commentaries, and they aren’t really His disciples but a certain teacher’s disciples. The truth isn’t setting them free it’s apparent. They’re not adding to their faith but they’re fruit inspecting and declaring others barren and unfruitful and declaring therefore they aren’t fruit trees (as you used the example). Pray that some might see. Bros, I was going to add something, but as usual you guys beat me to the punch. To Michael, if you are still there: Please tell us what and how much or many good works must accompany our faith in Christ for our salvation for our faith to pass the James test in order to be eternally saved? And also, Michael, are you sure your faith/works will pass the James test? Johninnc, great to read your answer to Michael. Get’s old to see the same tired old arguments in truth by these people who are indeed doubleminded and actually self-condemned. I agree, might be good if they just came out and said that they do believe you must have faith + works in order to be saved, at least a little more honest. However, we know the Word tells us they are subtle, they appear to be ministers of righteousness, they come from among us, outwardly they look like sheep, and they twist His Word to their own destruction, etc. Wow, I completely forgot about that convo! Thanks for the reminder. Hey everyone. I hope your Christmas holidays are going well. Sorry for the offtopic comment, but no doubt you have heard the US has declared Jerusalem the capital of Israel, drawing clear condemnation from the UN (and most of the world) while doing so. This whole thing screams of biblical prophecy, I was wondering if anyone had any biblical insight on this? Jason, yes – GES, like so many others, are Spurgeon apologists. I have interacted with some GES members who are confused by Spurgeon and Pink. They take a spit out the bones approach and often do not recognize the bones. I agree with RAS about the conflations. Jason, you are right. Scripture does not make that argument. Ephesians 2:10 says that we “should” walk in them (good works). It’s not that we must or will. I realized that after I typed. The very first words, “the scripture says”, makes no sense, because the scripture does not make that argument. He made that argument on his own. It is likely that a lordship salvationist would make that kind of pathetic argument for fruit inspection. God’s omniscience results in Him knowing who is saved, and he does not need our works to prove it. On another topic, I have been listening to Mike Cocoris from the Lindley Church. His series on the Catholic Church is interesting. It is a history of the same kind of thinking in circles. Jason it certainly makes Determinism out of the Bema and Calvinism conflates omniscience with causality among many of their conflations. As I see it the trouble with GES is in reductionism. Their teachers/members seem firm on faith alone. I’d like to say even in Christ alone but this is where the rub comes. They have reduced the content of faith concerning Christ alone beyond what I believe necessary to justification. Mind you that they don’t deny the cross as necessary to salvation they just don’t consider it necessary to the content of faith alone in Christ alone. It’s a shame on many levels and it breaks my heart because I like many I have heard from within GES. Jason, I agree regarding the bema judgment. I took the excerpt from Anon’s lengthy comment. It seems that it would make a Calvinism of the Bema. God would end up choosing who gets and does not get rewards. It seems that this was the very excerpt Anon was making, since he said something similar. It seems that my mind can’t follow. Better to stick with analysing scripture. Wilkin’s problem is of a very different kind, stripping the gospel of content. Jason, in trying to analyze what Anon is trying to say, I will focus on this excerpt: The scripture says that if good works WILL be present, then good works were ordained to not only be present, but that the born-again believer will walk in them. Here is my understanding of the logical flow of that statement: If a believer does any good works, then God both ordained (decreed)that the good works be done AND that the believer would do them. If a believer does not do any good works, then EITHER God did not ordain that he do any good works OR God did not ordain that the believer would do them, or both. Again, this would seem to make the judgment seat of Christ, and most of the biblical exhortations a waste of time. My reply was not meant to doubt your salvation or love for Christ nor was it a dig at Wilkin (my bad I type Wilkins). In fact John removed the link so I cannot read what Wilkin wrote again I have not read it in the first place. I never argued against God’s omniscience I argued that the works (in context of Eph) are for the corporate man not individuals. Individuals make the corporate man and God (knowing all) knows who will do what but Paul’s point is that the Church was planned for these works it is not plan B. Here is a comment by you that is identical to what Michael was saying: “However, that faith, if it is true, will result in deeds appropriate to salvation.”— You too have X= XY while saying the X is what saves but without the Y it’s not an X. Tell me can there be “saving” X without Y? If not then you are a circle talker. Jason, the Wilkins article is reasonably sound, we just don’t use GES material here. Whatever Anon is trying to say, I don’t really get. Does Bob Wilkin actually support Anon’s circular thinking? So much for being free grace. Wilkins aside? No. Wilkins is correct. Read again with humility. My comments are diametrically the opposite of Michael’s if one reads them carefully. Lordship Salvation is completely false and salvation is via grace alone, through faith alone in Jesus Christ alone. Works never did save, do not save and never will save. As a born again Jewish believer and former Jewish clergyman, believe me, I understand the gospel message, am blood bought and born again… and am still suffering for such a faith in Yeshua today as I did when I was first saved. I know in Whom I have believed and look forward to seeing Him very soon. Wilkins aside, the implied answer to that question is NO!! Again I say Hearing and believing equals eternal life justification (John 5:24-25) and hear and do equals salvation in James. Salvation is a generic word and it means deliverance .A hearer/believer is delivered from judgment the moment they believe. They are not delivered from sin’s consequences unless they put their faith (doers of the word) in to practice. RAS, I agree that Anon’s comments are hard to distinguish from Michael’s. And, I think they are both wrong. Anon, I read your post carefully, as I have your previous posts. 1. A believer in Christ is indwelled by, and sealed with, the Holy Spirit. 2. It is God’s will that believers in Christ perform the good works that He has ordained for them to do. 3. God knows which good works believers will do. 4. God produces those works in true believers. This leads to an inescapable logical conclusion: If works are not present in a person, then either: a) the person is a believer, but God did not intend for him to do any good works; or b) the person is an unbeliever. The problem with this argument is that believers do not always live according to God’s will. Scripture is rife with exhortations to believers to do good works, and to not grieve, nor quench the Holy Spirit. If believers always lived according to God’s will, then these exhortations need not to have been written. If the works were automatic, then most of the epistles are a waste of ink and paper. And, if the works were automatic, then there would really be no need for a judgement seat of Christ. Your comments are serving only to sow confusion. Here is a commentary by Bob Wilkin (content removed by administrator). I see little difference between what Michael was saying and what you are saying. Jude 24 doesn’t say that Jesus will without exception keep us from falling it says that He is able to do so. Our part is abiding as John 15 and 1 John tells us. Abiding is not automatic. Therefore fruit is not automatic. Having life does not mean we manifest the life that was freely given us. Your take on Eph 2 is the same as the Calvinist’s which misses the point about Jews (first) then Gentiles being made alive together in one new man; the body of Christ. The workmanship is singular; not workmanships not plural. The works prepared are for the corporate man. James says Abraham believed God and it was accounted to him as righteousness. This happened at a point in time (puncticular) when he believed. James also says that Abraham was justified when he offered up Isaac, again a puncticular event. This indicates two justifications; one through faith , before God and one by works , where WE see that Abraham believed God’s promise as you observed in your comment. Please read this whole post very carefully and enjoy. God knows what good works a believer will do, and who will believe … otherwise He would not be omniscient and thus, not God. Unbelievers do works, but they are dead works. Therefore, what kind of works does a born again believer actually do? Also, God the Son says you will do greater works than He did ! …. …. And so then ………. 10According to the grace of God which is given unto me, as a wise masterbuilder, I have laid the foundation, and another buildeth thereon. But let every man take heed how he buildeth thereupon. 11For other foundation can no man lay than that is laid, which is Jesus Christ. 12Now if any man build upon this foundation gold, silver, precious stones, wood, hay, stubble; 13Every man’s work shall be made manifest: for the day shall declare it, because it shall be revealed by fire; and the fire shall try every man’s work of what sort it is. 14If any man’s work abide which he hath built thereupon, he shall receive a reward. 15If any man’s work shall be burned, he shall suffer loss: but he himself shall be saved; yet so as by fire. Michael’s comment is a repeat of the argument made by Travis last week. They both appeal to the same passages to support the double mindedness of claiming faith alone while redefining faith as necessarily having works. That’s why I used X and Y, it’s a little harder for them to twist an X in to a Y. Language is clay in a LSers hands to mold as their system demands but equations are harder to twist. Nobody denies that James says “ be doers of the word, and not hearers only, deceiving yourselves”. The conclusion jumped to by LSers is that those who hear yet do not do are deceived about passing from death to life. John 5:24-25 tells us differently. No, they are deceived that they are automatically delivered (sound familiar). Hear and believe equals eternal life justification. Hear and do equals salvation in James. In reference to Matt 7 it was said that the reason “Jesus banishes them from His presence – being workers of iniquity” leaving out the “I never knew you” part. I imagine Michael and Travis have both had this twisting of scripture spoon fed to them by “teachers” of systems that in careful examination in the light of scripture cause endless contradictions because the systems end up holding to works salvation by making works=faith. Thanks John, the distortion didn’t last long this time. Anon, while I agree that God knows what good works a believer will do, and who will believe, I do not agree that faith, if true, WILL result in works “appropriate” for salvation. If good works WILL be present, then good works MUST be present. Michael, A careful reading of the parable of the sower and the seeds clearly indicates that soil #2 and soil #3 are indeed saved, but in a state of stunted growth and spiritual atrophy – Luke 8:13-14. Luke 8:6-7 KJV – 6 And some fell upon a rock; and as soon as it was SPRUNG UP, it withered away, because it lacked moisture. The phrases “sprung up” and “sprang up with it” indicates germination meaning that eternal life germinated. Once eternal life germinates, its there forever. That explains why Satan has that desperate urgency in snatching the gospel out of people’s heart as described in Luke 8:12 because Satan is well aware of the very NATURE of eternal life. Luke 8:12 KJV – Those by the way side are they that hear; then cometh the devil, and taketh away the word out of their hearts, lest they should BELIEVE and be SAVED. The phrase “withered away” does not mean “dead”. A withered arm may be considered “dead” because of muscle atrophy and lack of strength, but it is not “dead” in the sense that there is no blood circulation, though the circulation is poor, the arm is still alive. It is also not “dead” in the sense that it is decomposing flesh. The phrase “choked it” does not necessarily mean “dead”, but indicates the presence of something that is hindering progression and causing stunted growth, but the plant is still alive. A person may eat too fast and a particle of food may fall into his windpipe causing him to cough and “choke”, but the person is not “choked to death”. Luke 8:13-14 KJV – 13 They on the rock are they, which, when they hear, RECEIVE THE WORD WITH JOY; and these have no root, which for a while believe, and in time of temptation fall away. The phrase “receive the word with joy” is obvious. The free gift of eternal life is about RECEIVING IT. “Fall away” is apostasy, but apostasy does not undo salvation. The phrase “and bring no fruit to perfection” indicates that there is fruit, but immature fruit. Therefore, we are justified by faith. That is, we are made righteous in the eyes of God by faith as is amply demonstrated by Romans. Michael, A person can come to be eternally saved today by believing on Christ’s finished work on the cross and tomorrow be involved in a tragic car accident that leaves the person permanently paralyzed full body for the rest of his life where he cannot do any works period His doctors say there is no chance for recovery. In fact, the person’s spouse may decide to leave him because of his condition and remarry someone else. In the meantime, the paralyzed person can become very angry and discouraged and even curse God and die in that very state of mind, BUT the person is still saved – 2 Timothy 2:13, John 10:28-29, Romans 8:38-39. I have in my backyard 3 fruit trees. I have a peach tree that is currently bearing no peaches at all, but in previous years bore only small immature peaches about the size of a golf ball. I have a lemon tree that is currently bearing a combination of immature and mature lemons, but in previous years bore nothing. My third tree is an Asian fruit tree that I’ve had for over 20 years. For the first 16 years, it bore NOTHING, but finally at the 17th year it started bearing much fruit. However, this whole year it has stopped bearing fruit. Now, despite the fact that my 3 trees have an erratic pattern of bearing fruit, that in no way negates the fact that they are still fruit trees. A woman who can’t have children because of infertility issues does not negate the fact that she’s still a woman with feminine attributes. g) Jesus’ majesty,dominion and power are now and forever. Once saved , forever saved. When He is believed upon as Saviour, He already is your Lord. When He is not believed upon as Saviour, He is still the Lord of all, as all unbelievers will find out eternally. Believe on Him as Saviour, which is what John 3:16 says to do, since He saves one from perishing in eternal torment of G e h e n n a (Lake of Fire). Jesus Christ is already Lord of all creation and over everyone. We don’t ‘make’ Him something He already has been and is. He is L O R D. But He is only the Saviour for those who b e l I e v e … not for those who w o r k.
A Savior comes to rescue people in danger, preserve those who are threatened by harm, and protect his people from the troubles that surround them. That’s what saviors do! That’s what Jesus came to do for us. Supply all our needs according to his riches in glory. Add to us all the things we need as we seek him and his Kingdom. Our world doesn’t know. They think that Christmas is about gifts under a tree and a spirit of good cheer, with Christmas dinner and family around the table. But as good as all that may be, it isn’t nearly as good as the Real Christmas. The Real Christmas message is this: God has sent a Savior for you. To save you from your sins and to help you in this life — to lift your burden and ease your fears. That’s it! A Savior who is Christ the Lord — God himself! RAS, I agree they are taking in circles. Hobbs, Satan is the accuser of the brethren, often by using other deceived people in the world of churchianity as his tools. Michael is either deceived, a deceiver, or both. I have prayed for him. Don’t let him get you down. There I was enjoying my time here at the ‘oasis of grace’. Michael comes along with his drive-by shooting, taking the legs out from under me, and I’m back to the old distorted self-image for a while. Give me a few hours though and I’ll be back to trusting Christ alone as my Saviour again. I wish that those who believe X is not really X unless it has Y would be honest and quit claiming to believe in X alone. Instead they bombard you with rationalizations in an attempt to keep X alone by redefining X as XY. James is very clear that X is X and Y is Y and that Y is necessary to the salvation he is talking about. If they see this to be true while continuing to conflate the phases of salvation i.e. all three phases are automatic if X is really X then they would be more honest (even if only with themselves) if they would just come out and say XY is necessary to receiving the gift of everlasting life; that they believe in XY alone. Don’t get me wrong, this is what they are saying while talking in circles to stay within the boundaries of their systems while trying to distinguish their systems from Romanism. Michael where in scripture do you find faith modified by the word “true”? It’s certainly not in James where the relationship between faith and works is discussed. James 2:14 simply asks the questions “What does faith profit without works? Can faith save him (a person with faith but not works)?” There is no modifier (not even an article) attached to the word faith. The verse clearly establishes that works are separate from faith and the implied answer to James’ questions is— there is no profit to faith without works and No! faith alone does not “save” (deliver)! But the double minded LSers meld faith and works together as inseparable by adding modifiers like “true” “efficacious” or “saving” to the word faith. This is not done in scripture but in book after book, paper after paper sermon after sermon comment after comment. In the context of James works in addition to faith saves (delivers). James is saying add works to faith to have living faith (see 2 Pet 1:5-11). He is not saying that works plays a role in having faith. In LS books modifiers are added to faith to subtract from faith (make faith less than faith) if works are absent. Double mindedness indeed. Michael, thanks for stopping by and commenting. Discussion of the book of James is not “conveniently absent” from our commentary. Our site is replete with discussion of the book of James. For someone who seems to be a biblical scholar, you seem to have overlooked some key concepts in the word of God. For example, Jesus did not die for demons. He is the kinsman redeemer of mankind. A second example is the parable of the sower. The Bible specifically says that those represented by soil 2 believe for a while. Only those represented by soil 1 are unsaved. Also, perfection is required in order to get into Heaven. We can only have this imputed to us through faith in Christ. You mentioned a “pattern of faith and obedience.” What constitutes a pattern? By this standard, no one could ever know whether or not he has eternal life unless and until his life indicated a pattern of faith and obedience. A little nebulous, don’t you think? There are lots of things Christians SHOULD do. But, there is absolutely NOTHING that a believer in Christ MUST do to prove he has eternal life. To profess faith in Christ, but then to insist that it MUST be accompanied by works in order to be legitimate is, at best, DOUBLEMINDEDNESS (James 1:8). At worst, such contradictory beliefs may indicate that someone has never understood or believed the gospel (Matthew 13:19). The only issue with claiming that works play no part in saving faith is the very sobering book of James, found in your bible immediately following Hebrews and preceding 1 Peter; a book conveniently absent from the discussion in this comment section. It’s interesting to me that obedience to God’s Word seems to often be labeled legalism. The bible says Jesus was obedient even to the point of death. Jesus Himself asks, “Why do you call me Lord, Lord and do not do what I say?”. This sounds eerily similar to the latter passages in Matthew 7. In verses 21-23, we see one group which says but does not do. In verses 24-27, we see another group which hears but does not do. Look at 1 John 4:20 – “If anyone says, “I love God,” and hates his brother, he is a liar”. Again, a group says or professes one thing, but their actions speak to the contrary and reveal they are liars. Again in James, to be a hearer of the word but not a doer is to be deceived. The common denominator always comes down to what one does. The old adage, actions speak louder than words, seems to come to mind. Yes, Jesus says that to do the work of God is to believe in the One whom He has sent. This is certainly true. We believe the gospel and are justified. But we are fooling ourselves if we think we can treat God’s Son as an eternity insurance policy and yet live how we please on this earth. Lip service is cheap. I’m not advocating sinlessness or perfect obedience as necessary to prove or attain one’s salvation. As I understand it, neither does John MacArthur or Paul Washer. Obviously, we see that even God’s greatest servants sinned from Moses and David, to Peter and Paul. But overlapping each is a pattern of faith and obedience shown through works or actions born out of love for God. Grace isn’t necessarily free. Indeed, it cost Jesus His life to be able to offer us grace. We might say the cross is the most costly transaction, if you will, in all of history. Grace is best described as undeserved and unmerited favor which we can never endeavor to earn or repay. According to Jesus, many will be cast out and only those who do God’s will shall enter the kingdom of heaven. In the parable of the sower in Matthew 13, only one of four places where seed was sown brings forth fruit. In James 2:14-26, we see that true faith produces works, but that faith without works is dead and useless. I used to think that those people in Matthew 7:21 and on were trying to justify themselves by their works. But if you examine the surrounding context and consider why Jesus banishes them from His presence – being workers of iniquity – and compare the passage with Luke 6:46, and read the book of James, and recall the multiple times Paul says grace is not a license to sin, and include the whole counsel of the Word of God, I see something else. When I look at the whole of scripture, works seem inseparable from true faith – not as a required prerequisite, but as an inevitable result. And it seems that repentance and faith are two sides of the same coin. I don’t think most of the so-called “Lordship Salvationists” mentioned here would advocate that you must stop sinning in order to be saved. I don’t think that’s what they mean if/when they say “repent of your sins”. I think they simply mean turn from or change your mind about your sins, which is what the original word means. It has nothing to do with cleaning yourself up to make yourself more acceptable to God and everything to do with the recognition of your spiritual status and need for a Savior. knew (and Paul could have been in line for a Priestly function even though he was from the tribe of Benjamin) : read ALL of Galations 1. Agreed. If they got saved and fell into Lordship Salvation they cannot lose their salvation … but if they were saved and understood free grace, why would they become LS’ers? So then JMac, Paul Washer, Martha Mac, Ray Comfort could be saved? Or, conversely an unsaved person listens to their ‘preaching’ and ‘gets saved’ by free grace and then preaches LS? Is the above speaking about saved people or perhaps those preaching LS? What is the will of the Father and what must we do to do the works of God? .28Then said they unto him, What shall we do, that we might work the works of God? 29Jesus answered and said unto them, This is the work of God, that ye believe on him whom he hath sent. Believe, not work. Anyone preaching salvation by works who originally got saved via Free Grace is either confused, deceived, a hypocrite or just was never saved. You can’t lose what you never had. Anon, agree that people who have never trusted in Christ alone are unsaved. We can never know whether someone teaching LS has eternal life, or not. It is possible for an eternally secure believer to fall for false doctrine, including LS. Why do LS’ers do it? Because essentially they are lost and undone without God and have fallen for Satan’s ultimate ruse … pride in their works within a pseudo-Christian framework. It is the ultimate deception …. salvation by works … works salvation, both catering to human pride and the UNSAVED FALLEN NATURE/CONDITION. That is what makes LS so pernicious. In Washer, MacArthur, Comfort etc. you can see their pride when they speak. Where will John MacArthur’s erudition get him as he stands before the Great White Throne Judgement? Where will Paul Washer’s brazenness get him as he stands before the Great White Throne Judgement? Will Comfort and Martha Mac (of SO4J) actually miss the Rapture and the Judgement Seat of Christ? … yes, if they overtly or covertly teach Lordship Salvation while still claiming that one is not saved by works. That’s just a Satanic ruse. Jesus Christ sees right through this as do all who are saved by the Divine Blood of Christ (hypostatic union of God and Man in Christ, which JMac denies). How’s that for strong meat? I was an Orthodox Jewish Clergyman who did mitzvahs (look it up) until they came out of my ears. I ‘got saved’ and will never go back to that ‘works’ system again. The Apostle Paul was a fantastic Rabbi (Rabbi Saul) who knew the Torah and Tanach (look it up) backwards and forwards and exhorted the Galatians not to turn to Lordship Salvation over and over again …. and what do LS’ers do? … they just ignore it because they are u n s a v e d.
Marnatha …… the Harpazo is imminent … perhaps LS’ers will wake up in the Great Tribulation, but they’ll forfeit their heads as their testimony. The Great Tribulation will make what ISIS is doing look like a tea party. Remember the Holocaust where over 6 million of my people (and relatives) were butchered like swine … Jesus the Messiah warned that the Great Tribulation will make the Flood of Noah seem tame. God bless you brethren. Glory to the Lamb slain before the foundation of the world. He’s coming to claim the purchased possession …. you. here is another thought to ponder as well . They Knew Jesus as Lord BUT not as their personal saviour . Yeshua HaMaschiach (Jesus Christ) as their only way to GOD . It is sadly true that those who have never believed in Christ alone as Savior do not have eternal life and remain unsaved. It is incumbent upon those who know the truth to keep promoting and defending the gospel in its clarity. That ‘grace’ is free and Jesus Christ IS that ‘truth’. All the Lordship Salvationists know what they are doing … Washer, MacArthur, Comfort … Martha Mac and her SO4J website ….these are not fools … in fact they portray themselves as erudite. In fact they are just modern-day pseudo-Christian Pharisees. If anyone preaches salvation by works in ANY FORM, in ANY WAY …. they are in great danger spiritually. Salvation is by grace through faith in Jesus Christ plus NOTHING … nothing before salvatioin, nothing during salvation and nothing after being saved. Jesus Christ paid it all and it is a free gift. If one has not been saved once and for all, one has not been saved at all. The Salvation in Jesus Christ is a very, very great ‘thing’ indeed and is ‘too good to be true’ for Lordship Salvationists. They will ruminate this eternally in the Lake of Fire, while all those believing the Free Grace message of Christ Jesus will enjoy Heaven in the Father’s House forever and ever and ever and ever. Maranatha … the Harpazo/rapture is imminent. All Lordship salvation professors will miss it entirely and be left behind, while all those who are saved according to the Free Grace message of the Bible will be taken in the twinkiling of an eye. So wonderful to learn, Rae, that you’ve been long searching for confirmation of your own reservations which led you here. Just a technical curiosity, though: did a search engine highlight this thread based on your search of Ludy? Or was it a pure “coinkadink” which brought you here, given that he was not even mentioned (tagged), let alone known of, in the body of the main article? Either way, God is good! I hope you will expound on your discoveries and concerns with Keswick. Like you said, there are more out there who share them but have no doubt come up with little to substantiate those concerns. So glad you took the time to comment. It was a blessing to read. Rae, I have thanked God that you found us and decided to drop in. As someone who suffered under LS, you are likely very attuned to its subtleties. Welcome– we are happy you stumbled across our Gospel site. Our mission is to share the clarity of the Gospel of God’s Grace and expose those like Ludy and others who would pervert it. Your Campus experience with Ludy and those who idolize him is not unusual and we appreciate your clear perspective. Join us regularly in our effort to preserve the ever diminishing Gospel of Salvation by Grace alone through Faith alone in Christ alone. Thanks for your pointer to that very informative article on Keswick Models of Sanctification. Because of your background, you certainly know much more on Keswick movement and deeper life theology than me. Your experiences are valuable resources to us and other visitors here. Although we are from different backgrounds, the Lord has gathered us here under His wings. Let us praise Him together. Thanks — that article is well worth more than a cursory glance.. It probably explains (exposes) lots of things multiplying in all sorts of churches even today. Calvinism plus the unholy marriage of Wesleyanism/Keswick are two subversive, evil twins up to no good. Several days ago, Jack sent me this link which delves into Wesleyan theology, its evolution through the years and its ultimate, though tempered, expression in the Keswick movement which has gone on to influence just about every single, Christian denomination and respected bible institution. I think it’s safe to say that it’s best to steer clear of Maj. Thomas, and all deeper life teachers. I agree with you. As long as we are sticking to His Word, we are walking in the Spirit. I am troubled by the teaching of the Exchange Life advocates that there is some kind of supernatural entity, in their wording the Holy Spirit, invading us, possessing us and even controlling us to do everything “according to the Spirit”. If that is really the case, we are no different than robots. Instead, God loves us and want us to love him back. God is not a dictator or a “control freak”. God does not want to control us. God wants us to exercise our free will to act out our faith according to his word, i.e., yielding to the Spirit. Without free will one is incapable of love. Walking in the Spirit is a moment by moment endeavour. We are not passive, we are active. We make our daily decisions to act according to His will. His will is clearly stated in His Word. So astute, Jimmy. Motivation is everything! Reminds me of a great article by Charlie Bing I found under his GraceNotes category. I think examining my motivation might be a better determiner as to identifying the origin of the “good” work. Indeed it does bring “tireless examining of self”. It’s good and healthy to make sure we are doing things with the right motivation, but too much introspection can take our minds off Christ and the lost. It’s my opinion that when we get busy about reaching the lost for Christ…and then discipling the found, there’s adequate help from the Holy Spirit where the flesh is concerned. I sometimes wonder if we all at times aren’t guilty of trying to put the Holy Spirit out of a job. I hear ya, Jim. I’m working through years of all I’ve learned, also asking myself these very questions to which I feel tempted to fall back on the responses I’ve learned mostly by Thomas, and a few others. But are they right? I honestly don’t know at this point. you said: Doing good works as a Christian is not sufficient, because I may very well be out of the will of God by doing so. I’d say that we can only be out of the will of God if we are going against His Word. There is not another standard on top of that. True goods works are of the Spirit anyway. They definitely don’t come from the old man. Thanks for sharing those encouraging verses with us today. I particularly love the one from 1 Thes. I read it often to be uplifted—God does the calling and He does the enabling! You are a dear sister! AMEN — and thanks for your dear friendship. I weigh the moments, and knowing God made me as I am, go for it, right or wrong. Thanks first for the Newell quote and also for your note of appreciation for our folks here — I think most of us find a kindred fellowship in Christ on this web site. The Lord has blessed us here with so many of you who visit, read and comment. As one who is unable to get out and “go to church” I appreciate your fellowship and love in Christ. We pray for each of you daily for the Lord’s wisdom as we all grow in Grace and knowledge of our Savior. That was my motivation. I determined to study the Word and share Christ at every opportunity, without stressing whether I was doing it “in the flesh” or not.. (I just left that up to the Lord). There are millions of folks out there who are just as lost as I was for 35 years of my life. Looking back, I would have loved someone sharing Christ with me during that 35 years of my wandering. And had I trusted Christ as my Savior 20 years earlier I would not have cared whether the person telling me was “in the flesh” or not. The Gospel is still “the Power of God,” free for me (and all) to believe any time. And Yes, after one trusts Christ as Savior, we should emphasize and teach the wonders and benefits of the believer’s life in Christ and the blessings we receive by our obedience to Him. (Ephesians 2:10 and many other verses). I recall Bible college students discussing whether or not to go out and share Christ with the lost — Some were hesitant, debating whether they were doing it “in the spirit or in the flesh.” I was somewhat put off by that — fully aware that my friends and family were lost — souls were at stake. So I determined I was just going to do it at every opportunity. No stress — Just let the Lord sort out the motives later. Thank you, Eddy. It turned out well enough, didn’t it? John, this, too, has become my primary source of fellowship, my church, where I have also learned a great deal from all of you. Needing to get step away from the discussion in my “defense” of Thomas (and what I believe), it did me good to prepare dinner, partake with my family and settle my thoughts by watching some TV, where I caught the first quarter to one of my favorite movies of all time “Fiddler on the Roof”. I found myself identifying the Tevye, the main character, and his silly reasoning always preceded by the phrase “On the other hand…”. In one scene, listening to his Rabbi and friends argue with an “enlightened” wandering scholar about the right attitude to have regarding the disturbing happenings outside their little village, Tevye finds himself agreeing with all of them! “You’re right!” he says to the scholar; and to the displeasure of one of the traditionalists who responds with a pithy rebuke, Tevye says “You’re right too!” “What? How can we all be right?” they exclaim in amazement. I’ve never been in the place where I’ve been asked to make my beliefs clear, and it’s been a very good exercise. This was a good time to learn the wisdom of Paul’s counsel to Timothy, to “Preach the word; be instant in season, out of season; reprove, rebuke, exhort with all longsuffering and doctrine.” 2Tim 4:2 No doubt, I’m rusty on some of the finer points of doctrine. It’s also good to know what I believe without having to reach for a commentary to speak on my behalf, and this is where I stumble. On the other hand… ;-), I also agree with what I have learned thus far by my “hero” and others, that when I say I disagree with “That’s it”, I’m meaning to get to the heart of the matter, which is to not settle merely on the fact that we’re saved and sealed by the Holy Spirit, sent our merry way heaven bound, but that the Holy Spirit is the very vehicle and source of the Christian life here on earth. I realize we all know this, but perhaps it’s more the same way we have read a verse 10,000 times, and it has become so familiar to us that skim over it without ever really tasting and savoring its meaning. In this case, it would be most of the New Testament. I was given a book called “The Rest of the Gospel – When the Partial Gospel Has Worn You Out”. I’ve never read it because it was given to us by one who is all over the ecumenical, contemplative map – it sits on my shelf amongst the tens of other books I’ve accumulated over the years. But without having to open the book, I already understand its premise, which is that too often, when communicating the gospel, we stop short when the person believes on Jesus Christ as their reconciler to God the Father, but rarely do we emphasize the ministry of the Holy Spirit, that it is Jesus Himself, Who is to be the Origin of all that one does from here on out. And just by looking, hearing, reading – we know that’s not the case. There is no “rest”, but worry and exhaustion. And this is where we come full circle: Keswick and its crew, which as I stated before is a mixed bag of denominations, but all unified in their belief that the Church, the Bride of Christ, is playing ball without the ball (Jesus Christ). We are exhorted to be of “One Mind” which is the Mind of Jesus Christ – the Head of the Body. Doing good works as a Christian is not sufficient, because I may very well be out of the will of God by doing so. Origin (the Source of my works) matters, no matter how purty they may be on the outside. But how to determine if my works are of the Spirit or of my flesh is what brings so much heartache and tireless examining of self, especially in the Keswick context, where terms like “full surrender, exchanged life, victorious life, etc, etc” are used in abundance. There is something to it, but not all. And that’s what I mean by my careless wording of “half” the gospel. Now I’m done. I just want to you let you know that I am very happy for you. We all learned a great deal from each other, and I certainly witnessed brotherly love among all of you here. Thank you for your friendship and engagement on this website. I am a relatively new believer with much to learn. This website is my primary outlet for Christian interaction and I am very much humbled by the diligence each of you has shown in rightly dividing the Word of God. Please pray for me as I grow in the knowledge of Grace. Iron sharpens iron, right? Thankful for you all. Thank you for sticking it out with this thread. Regardless what conclusions you reach with regard to some of Ian’s statements, your willingness to interact was, IMO, a testimony to Christ. I hear what you are both saying. I’m content to drop the topic of Maj Ian Thomas. If anyone wants to discuss the particulars of salvation or sanctification in regards to the original thread then I’m game. Pearl I’m glad to hear that you have learned much. I too only found this blog a short time ago because I had originally come across Lou’s blog while doing a search on Lordship Salvation. I have to say that both blogs have contributors and postings that have been very encouraging. I agree with what you have just said concerning salvation. My point was that sanctification and glorification will take place after conversion. There is no way that a person can void their salvation by not fulfilling some second part. The result of conversion – sanctification and glorification ( when we are in glory – after death or the rapture) will take place. This is not to say that two believers could not have different experiences in the sanctification process. Some will be better disciples than others. Some will take more opportunities to put their faith into action ie. sharing the gospel, preaching, teaching, prayer etc. Some will be more obedient than others to God’s Word and the leading of the Spirit than others. Our performance during the sanctification process however does not determine our final state. That is already established at conversion when we become a child of God. I would say there that, yes ,believers should not try to serve God in the strength of the flesh. That is why we are told to walk in the Spirit. The things we do in the flesh for God, out of sinful pretenses and motivations, will result in a loss of reward. It would be as wood, hay, and stubble. That said, Maybe this is not entirely what Maj Ian Thomas was talking about. I am not so worried by Thomas that I couldn’t read “The Saving Life of Christ”. Maybe I’ll do just that when I get a chance. I also agree with Jimmy that I would like to see what you you define as the second half of salvation and why. I’ll try to comment on your other post a little later. Thanks for your cordial spirit. Please personally correspond as you wish. Question or present your case in short paragraphs.. My attention span is limited.. I’ll do my best. I would suggest that Ian Thomas has been thoroughly examined. So let’s do move away from him. And frankly, I’m relieved and would like to move on. I would really like to re-examine, perhaps with private correspondence with you, Jack (time permitting of course) where I may be off and where I’m not (Phil. 2:12). I don’t want to be guilty of hero worship, and that can be a very real danger in any of our lives. I hope readers will keep in mind all the reservations I expressed earlier in the thread, and that I have been sorting through much of all I have been taught this last year. And no, I don’t believe in “second blessings”, “annointings” etc…but I do believe in revival. I must disagree with the concept that putting faith in Christ is only the first half of the Gospel. Believing/trusting Jesus Christ — the Gospel, the death, burial and resurrection of Jesus, God in the flesh, IS the complete Gospel. [1 Corinthians 15:1-4]. By believing the Gospel, trusting in Jesus Christ alone for our salvation, I am making no deals, promises or contracts — but simply understanding that regardless of my failed or miserable life, now or in the future, I am eternally secure in Jesus. “It is finished!” That is freeing. Then we SHOULD do as Ephesians 2:10 instructs.. Walk in good works. Pearl, I agree with your answer that one must accept that Jesus died for his sins and was raised from the dead. Not just as a historical fact, but appropriated for oneself. I explained it to one of my friends at work as “I’m a whosoever”! Oops..sorry John. I thought you were “Jimmy”. I don’t see what you see, Jimmy. I always interpreted that to mean that it’s not enough that one accepts Jesus’ death as a historical fact, but that it’s for me, personally. Who do I say that Jesus Christ is? He is my personal Redeemer and my God. Jack, may I bother you to go back to my last comment and delete the excerpt? I appreciate it. I do not know what “a moral choice is imperative” means. I am very confused by this. This seems like adding a condition to justification by Grace through faith in Christ. The above verse is not saying that salvation is a continuous process. Salvation was instantaneous upon one’s believing on Jesus Christ’s finished work on the cross, on one’s behalf. Saved and sealed by His indwelling Spirit forever. That’s that. Reconciled, adopted child of God. But the “much more” is living by the fact that Jesus Christ gave you Himself to live His resurrected life in you, moment by moment of every day, allowed by the same faith which accepted his death on your behalf. “The failure or refusal to discern the Pauline Gospel as a separate and new revelation and not a “development from Judaism,” accounts for two-thirds of the confusion in many people’s minds today as regards just what the Gospel is. Paul’s Gospel will suffer no admixture with works on the one hand or religious pretensions and performances on the other. It is as simple and clear as the sunlight from heaven. The end of man is where God begins in Romans 3, at what might be called the opening of the Pauline Revelation. Most unsaved people today believe in their hearts that the reason they are not saved is because of something they have not yet done, some step that remains for them to take before God will accept them. But this is absolutely untrue. *** When Christ said, “It is finished,” He meant that He had, then and there, paid the debt for the whole human race. “He gave Himself a ransom for all” (1 Tim 2:6). I don’t understand what you are saying. Specifically, how are you defining the word “savlation” in Jim F’s aforementioned statement? One could find other articles written by him on the same site. Ah, yes. William Newell is another one whose writings I consider to be wonderful, though I’ve not read nearly as much. I look forward to reading it through. I think the attached article is helpful in the subject of how to live the Christian life. I appreciate how you expressed yourself this time around: asking perfectly reasonable questions, together with stating shared concerns which I, too, have observed and expressed here months ago in my comments, as well as in private to Jack and one other (who, sadly, hasn’t commented here in quite a while) as I was first learning about Lordship Salvation, January 2011. I can say with confidence that Thomas did not teach one-naturism, which was one of the facets of LS we discovered early last year during our conversations here; and a point covered more thoroughly by Miles Stanford at his website. Agree or not, Thomas’ complaint is that far too many Christians have begun their Christian life by faith in Christ’s sufficiency to save them, but continue on in the flesh to “thank Him”, “work” for Him. So, by that alone we can rightly conclude that he does not teach one-naturism. “Salvation is now offered to those who will repent and put their faith in Christ. That’s it. I disagree. I say it’s just the first half of the gospel, which is reconciliation. There is the “much more” which is the neglected part, allowing Christ’s life to be expressed through you. To be quite honest, Jim, I feel overwhelmed by my feeling I need to teach you the basic precepts of what has come to be known as Keswick theology, and I have never claimed to be one of its star pupils. Please don’t misunderstand me: I’m not trying to duck your questions, but trying to describe it is like attempting to describe the taste of water, or color to a blind person (not calling you blind by my using this simile). The emphasis of “complete surrender” was one of the things which began to take on a Catholic flavor to me as I read many the authors which teach it. Some were able to communicate it well, others not. Surrendering can be exhausting work, and I have to admit, I can’t do it. But, my preference for Thomas is because of how well he communicates it and hearing it from him, I relax and say “wow…I’ve been making it waaay too hard!” It’s not about me! It’s really quite simple and gloriously freeing. I don’t know really what to say, but that if you are uncomfortable with Thomas, then just leave it alone. If you want to hear more from the horse’s mouth, begin with “The Saving Life of Christ”. I will read through your comment again, chew on its points and add more should a salient thought occur to me. I appreciate your patience. Pearl, I was just going to share some my concerns about Maj. Ian Thomas. We all should have the ability to judge another man’s words according to scripture. Your question prompted me to take a look at some of the things said by Thomas because I hadn’t heard of him previously and I wanted to see what he was all about. I would likely have to sit down and read his books and listen to a few of his sermons before I could get a better sense of what his overall message was. Please understand that I and others here desire and strive to understand the truth as revealed in God’s Word. Rejecting a statement is not the same as rejecting the man. Another concern I have is not confined to Maj Ian Thomas but he reminds me of those who teach a one naturism. This can be found in Wesleyans, Arminians, and Covenant theologians. Each have their own twist on it. I don’t find that one naturism squares well with the Romans 7 struggle that Paul described. I’ve seen ways in which John MacArthur and others teach basically a one nature position. If you do a search on the Exchanged Life, you can find some sites that teach a type of the exchanged life but also add on a Lordship style gospel that precedes it. This is not to say that Maj Ian Thomas necessarily taught it that way. My hope would be that we can see that salvation is offered to mankind based on the finished work of Christ. He lived a sinless life and died the perfect lamb. His shed blood satisfied God’s demand for payment. Salvation is now offered to those who will repent and put their faith in Christ. That’s it. The blood of Christ then covers the believer. It is based on this fact alone that we are declared not guilty in God’s sight. This most certainly means that it is not Christ’s life living through us to fulfil the law that saves us. This regardless of who said so or not. This is not necessarily only a LS issue but it is an issue relating to justification and the Christian life. The only way a person is written in the Lamb’s book of life is if Christ’s blood is applied to their account whereby God can declare them not guilty. The Holy Spirit does indwells the believer and plays a role in sanctification. Also, we must remember that God is a triune God. Sometimes we like to focus on a ministry of one of the Persons that we forget they are One. The last thing that I want to mention does tie into Lordship. There are some LS proponents that teach that salvation comes after an exchange of sorts. Our way for God’s way. Our life for His. My control for His control. Leaving my own pursuits and priorities to follow Christ in discipleship etc. etc. I’m not going to declare that Maj Ian Thomas was accursed. That is not my main interest. I would just like to see more precision in the area of the positional righteousness of the believer. Pearl, thanks for your comments. The reason that I spend more time discussing Grace than discipleship is that the organized churches are so imbalanced in the other direction. Grace teaching is so rare that I didn’t even encounter it in a church – even though I grew up going to church 3 times a week and my mom played the piano there. Jack, bless you. Thank you for your fairness and further effort to learn more of one’s teaching before taking part in consigning one to the heap of false teachers. The verse you chose is most appropriate and one I will take to heart. Jimmy, I also thank you for your fairness. I had already typed my response when I read your voice of reason, which I should’ve addressed, but I was impatient and, frankly, ticked. I’m sorry. Eddy, I am very touched by your apology. Thank you. I understand your motivation, and certainly can’t fault you for your fervent desire to keep the gospel untarnished. John, yes this is a lordship thread, as are they all. And rather than describe this deviation as going off into the “life and times of Major Thomas”, I’d call it a witch hunt. That said, let me be clear. I would not “label as a Lordship Salvationists anyone who would dare to assert that a believer’s life (a believer mind you) ought to reflect his calling…”. That is an unfair depiction of the comments I have read, or written, on this site. In my burst of anger, I judged you all unfairly. Please forgive me. I have often attempted to express a wispy, ethereal concern of mine which makes itself visible to me through comments every now and then. Knowing that a lot of people come in late to a conversation, or may have stumbled upon the blog quite by chance, not knowing a thing about LS, I have often worried that your vehemant stress upon a believer not having to do a single thing for Jesus Christ to earn his favor before (yes, absolutely true), or after salvation (also true, as my acts of righteousness are to Him as filthy rags) to be missing something. While you have often clarified yourself to my satisfaction, I don’t believe the already pervasively carnal church needs further massaging that Jesus Christ will always be madly, deeply in love with them no matter what they do. He’s not our buddy, cheering us on. Babies are cute and precious, but we expect them to grow up! In saying this, I’m not saying you are advocating such, but often the absence of words can be just as destructive toward enabling a very wrong attitude. I feel there needs to be balanced teaching, a greater understanding of our position in Jesus Christ which rightly counters LS. Here I offer my formal apology to you, and I recant my anger toward some of the statements Ian Thomas made in his sermon. Just to clarify, I have not labeled him as Lordship Salvationist. I am sure all of us appreciate your contributions to his blog, and sincerely hope you will be with us from here onwards. I am only a faulty man learning to walk a step at at time. Please forgive me if I caused you to stumble. I hope you don’t, as a result of this discussion, distance yourself from commenting here. We all bring something different to the discussions, and I think I can speak for all of us when I tell you how much I’ve appreciated (and do appreciate) your insight on a myriad of topics. All of us here in our small sample of discerning believers agree about the vile problem with Lordship “salvation” and our mutual desire to expose and eliminate it in our own small way. We are here to discuss and expose those who obviously proclaim the false messages (LS and others). We may have differing opinions of which individual is clearly preaching a false message — because we base our opinion on what we see in their words. Frankly, I see Pearl’s point about Thomas. In that passage I believe he is speaking of personal sanctification after salvation, not a condition of salvation, though it is not offered with the clarity I would prefer. Maybe that is because of my lack of sophistication and language skills. Likewise I agree with John — that passage of Thomas’ does seem confusing at times and could be taken by some to imply that submitting to the “Lordship of Christ” is a part of one’s decision to trust Jesus Christ as Savior. However, having read a few others of Thomas’ works on Pearl’s blog, I would not come to that conclusion. (No, I don’t recall which). I love all of you, my friends, in Christ and pray for you daily. Jimmy, I will officially recant my outrage and replace it with confusion. Pearl, except for the excerpt, I have not spent any time with Thomas either. Therefore, I have not made up my mind on anything except that statement. It is confusing. One cannot cheat someone who has given him a gift. As this is a pretty small community of regular commenters, I suppose that would encompass most of us. I have to admit to being highly sensitive to Lordship salvation. As we have observed, it is as pervasive as it is destructive. I would label as a Lordship “salvationist” anyone who teaches that works, the promise of works, or the evidence of works are required for salvation or proof of salvation. If this is troubing to you, I am sorry. But, that would not make me change my opinion on what constitutes Lordship “salvation” nor that it is a false gospel of works. This whole thread is about Lordship salvation. We have gotten off on a tangent exploring the life and times of Ian Thomas. Actually, I’ve not made up my mind on Thomas. I need to spend time with his writings before making a judgement. Imagine the audacity of anyone suggesting that Jesus Christ is being shortchanged, robbed of His rightful, blood bought purchase! Outrage indeed! One might be led to believe that Thomas had actually read the entire New Testament (written to redeemed, blood bought, adopted sons of God) and believed it! Had the Major sugar-coated his militant exhortations with “pretty please”, might you all be somewhat appeased? The sermon “Knowing Jesus” need not inflame you to anger. Was it that Thomas actually dared to question the salvation of many in the church today based on their actions (fruit)? What makes his accusation so different from what I encounter here nearly every, single day wherein each one of you has made the very same accusation based on those who would attach to the salvation message “turning from sin for salvation”? You have rightly come to the conclusion that most professing Christians are indeed deceived because they have a false understanding of the word “repentance”. And so what can we expect to find in the countless churches which dot Christendom? Quite simply, I expect we’ll find “every man doing what is right in his own eyes”, which is exactly why there is so much confusion and discord among so-called believers (whether they are or not, I have never had the boldness to adequately judge). If each Christian were living each moment of every day by the faith of the Son of God (Gal. 2:20), the Body of Christ, the Church, would be a mighty one, continuing to turn the world upside down, rather than becoming the epilectic fit it is today. Each of you has already made up his mind on Thomas and I’ll not attempt to undo your conclusions. But I for one will not allow myself to get confused by the use of similar terminology (i.e. Lordship of Christ) which in and of itself is not an evil term, but must be weighed accordingly: is it attached to the salvation message (which would make it false) or discipleship (which would not)? Major Thomas understands the gospel much more than I have seen come from most of you. The thrust of his entire ministry is to exhort the believer to realize his rightful inheritance, which is Christ in You! Most of us live like paupers, resisting (and resenting) the Holy Sprit’s rightful place to live His Life through us. All believers, and especially those of us who imagine ourselves to be His faithful disciples, will be held accountable; God is not mocked. I see no contradiction whatsoever in the epistles, written to and for all believers. Jimmy, said another way, how could one “cheat Him” unless they made a deal? This would imply that one made a bargain for salvation and then reneged on his end of the deal. Salvation, being a free Gift, is not subject to one fulfilling any terms. That is why the statement is troublesome, or confusing. Perhaps a better way to say it would be that one should be grateful for a gift so precious as salvation, and would want to express that in his walk. Jimmy, my second comment was less tempered than my first. But let’s continue to examine Thomas’ statement, assuming that he was talking about sanctification. Jesus’s blood was shed to take away the sins of the world. If Thomas thinks that our behavior, or lack of submission to Christ’s Lordship, somehow “cheats Him of that for which His blood was shed”, what exactly does that mean? Every one of our transgressions, past, present and future, has been fully paid for by Jesus! We have to be perfect to enter Heaven and we can be by imputation only. Your first commentary on Thomas’ quote was tempered (i.e. “if”) and rightly so IMO since we can’t by that quote know if he was speaking about anything other than santification. My concern is your follow-up comment on the SAME THOMAS QUOTE: “Eddy, another thing regarding Thomas – I am not just troubled by it, I am outraged!” It appears your “if” quickly turned into something else. But, if he is talking about sanctification, I still think the language is goofy and even troublesome. Unless one thinks he can “pay Him back” for salvation, then “shortchanging” Him would not be possible. I have not read anything yet by Thomas, except what has been shared here in this thread. While these quotes by him are confusing to me (because he uses the word “salvation” yet is clearly talking about santification), I’m not quite ready to conclude that he is preaching false doctrine. Let’s hold on to our outrage until it can be demonstrably proven the man taught a false gospel…that is if he did at all. Jimmy, I understand and don’t dispute that some of the deceit is purposeful, and some is not. In many cases, it would be hard to tell. This is good insight into Martin Luther – another of the band of “mighties”! It depends on who and what you are talking about. For example, Martin Luther (in his Catechism) informed his readers he was laying out the Ten Commandments, when in fact he OMMITTED the second commandment completely (because he agreed with Roman Catholicism’s bowing to images made of Mary and various other “saints”), then divided the Tenth Commandment in half making part of it the Ninth Commandment, and the rest of it the Tenth Commandment. This way he could end up with ten commandments after having ommitted the Second Commandment! This is PURPOSEFUL deceit. Having said this, there’s no doubt Luther had been deceived by Roman Catholicism, but his aforementioned wresting of God’s Word….along with his hiding his allegience and loyalty to R.C. is purposeful deceit. On the converse, Luther did not really believe man is justified by faith alone, even though he wrote such IN PLACES. In fact, in his own Small and Large Catechism he in one place informs “man is justified by faith alone”, then IN THE SAME BOOK (s) informs those he’s indoctrinating that man is justifed by water baptism! Very clever…and not done innocently IMO. Many other examples such as this by Luther and others could be given. I’m just getting frustrated at how the likes of Ian Thomas, Eric Ludy, etc., actually pervert the Gospel, i meant what i said, in fact Paul calls them accursed. There’s so much heresy in the world nowadays and the Internet is not spared, that whenever i hear someone, famous or not, calling himself a Christian, i end up searching them on Google to know what they exactly teach, and if they teach some form of works salvation/Lordship salvation, i won’t even bother to read any of their works, even if it’s not about the Gospel, because somehow i also suspect that their other writings may have been tainted by their theology, even if they are biblical on some areas of doctrine. No one is 100% consistent on doctrine of course but when it comes to the Gospel, doctrinal error on this area is not permitted because it’s a matter of heaven and hell. Your anger is well justified. I felt angry too when I listened to the following sermon. Eddy, another thing regarding Thomas – I am not just troubled by it, I am outraged! How could Jesus be “shortchanged” in granting Grace (unmerited favor) to a lost sinner? This is complete nonsense. The only way that He could be shortchanged is if He were willing to sell salvation – which He is not. Neither can one “pay Him back” for salvation. The Lordship “salvation” crowd totally misses the point. They see salvation as a trade, not a gift. Eddy, if Thomas is saying that a person must yield himself to Christ in such a way to become saved, I would be troubled by it as well. It would constitute salvation by works – in this case, the promise of works. The common name for this is Lordship “salvation”. The gospel is simple and straightforward. Ian Thomas’ above statement is not. Most people make it way too hard! I found the following quote from Ian Thomas troubling. Excellent comments provided by both of you. I could not agree more on everything you have said. Jimmy, I think it is purposeful deceit only to the extent that these people are also deceived. In other words, I think they are preaching and teaching what they really believe. It is called the blind leading the blind. As you know, if false gospel preachers didn’t include truth somewhere in their message, most with even a modicum of discernment would not listen. This mixture of truth and error is sadly very effective. The lady who gifted me with Cahill’s book, for instance, read many of his statements in the earlier portion of his book such as “Salvation is a gift and therefore cannot be earned in any way by our works” so that when his redefining of saving repentance was presented later on, she simply interpreted it in light of: a) what he had earlier stated, b) her own existing theological gridwork. This epidemic of mixing truth and error (wherein the truth preached blatantly contradicts the error preached) by preachers and other so-called leaders makes me wonder if Jack isn’t on to something. We may be witnessing, for the most part, purposeful deceit in action by these folks. Eddy, almost every “believer” I meet says that he thinks salvation is a free gift. Yet in further conversations with those same folks, they express beliefs that are totally contradictory with free Grace. If there is a way, please remove the automatic highlighting from the http links in my last post while keeping the url intact. Your survey result shows the vast majority of professing Christians believe in what most churches are preaching nowadays, i.e. Eternal life is a free gift and one has to repent of sins, or be a good boy, or giving a promise to be a good boy, or salvation is a process, or the Christian walk means one walks to heaven, or the Christian walk is much more important than the moment when one decided to put one’s trust in Christ, or redefining believe as having a personal relationship with God, or faith and works are inseparable, or etcetera etcetera etcetera. Even the Catholics acknowledge salvation is a free gift. I would recommend any believers here interested in knowing where the whole Christendom is going read the following article. I was almost speechless after reading the article. Even the Catholic Church, is transforming herself to be more compatible to Evangelical Christianity. WARNING: I recommend the following article only for the purpose of discernment. Not long ago I mentioned to my friend that my grandfather highlighted Ephesians 2:8-9 in his Bible and my friend’s immediate response was that almost every preacher preaches those two verses. What my friend was trying to say is that not only free grace preachers, but also L.S. preachers preach free grace as well. The main issue is not that they reject free grace, but they add works to grace. I don’t keep a chart either. I write down, on the Survey sheet (“spiritual interview sheet” better put) itself, the answers the person gives. After leaving the person’s home, I write down on their survey other notes (e.g. person’s address, occupation, family members names, interestes, what happened at the conclusion of the survey–[Did they receive Christ? Which Gospel booklet was used and left with them? Did they show interest in discipleship study?, etc…) That survey sheet then goes into a filing system that is catalogued by month, year, town, and type of follow-up needed. Therefore, no memory needed…..just have to refer back to what’s in the file. Thank goodness, my memory is terrible. Thanks for your sad survey statistics. When I was able to get out and share Christ I never made a chart (wish I had) — but I would guess my stats would be about the same as yours. Very rarely do/did I hear an answer with “Absolutely! !” accompanied by valid scripture to back it up. I understood completely about the sharing of survey numbers. Good comments on soulwinning—keep it up. Good grief…I’m having trouble this morning making myself clear. By “all here do this”…I mean all of us at this blog engage in soulwinning. No ribbons (except at the Bema Seat) for doing what we should. I hope readers of that review will read your comment. I especially like your sentences, “Eternal life is not conditioned upon any work of man, including turning from sins, PROMISING TO TURN FROM SINS, or COMMITTING to ANY OTHER CHANGE OF BEHAVIOR TOWARD GOD OR MAN, EITHER BEFORE OR AFTER SALVATION. Eternal life is God’s free gift obtained by Grace through faith in Christ.” The promising to turn from sins aspect I did not cover, and yet as Ron Shea rightly points out it is the most pervasive form of LS being communicated today as it APPEARS to side-step works, but actually does not. Also, the committing to change before or after salvation point you made is critical as well. I’m going to see if I can edit my review adding those salient points. Thanks for this vital contribution. Thanks to you as well! I’m hoping your and other comments might save some readers of that book spiritual devastation. As an aside, I hope you understand I was not sharing the survey numbers to pat myself on the back for engaging in soulwinning. All here do this. I thought they might be of some help in answering your question regarding the likely percentage of professing believers who may or may not be saved. Jimmy, great review of Cahill’s book. I left a comment. Sure, I’ll have more time to address my concerns with it after work today. Kudos to you for faithfully sharing the gospel with others! It is indeed troubling to see the poor understanding (3 of 262) on the part of the quiz participants on the issue of salvation. Hopefully, this web site is helping to put forth a Biblical presentation of the gospel. Regarding your book review of Mark Cahill’s book on Amazon, you gave a very solid review for which I gave you a “helpful” rating! Maybe some other folks would like to check out your review too. Go to Amazon; then search under books for Mark Cahill. Jimmy’s review is under the one-star reviews. Granted, Jim, that upon first consideration of this isolated description, it may very well come across as being “out there” to plenty of folks, but his theology (much better presented in “The Saving Life of Christ”) is not. Weirdness aside, can you be more specific as to what you find unscriptural about it? “The life that the Lord Jesus Christ lived for you nineteen hundred years ago ­ condemns you; but the life that He now lives in you ­ saves you! The Christian life is the Life which He lived then, lived now, by Him in you. As He behaved in the sinless Humanity which the Father had prepared for Him then, so He wants to behave in your humanity presented to Him now. Your mind placed at His disposal through the indwelling Holy Spirit; your emotions, your will, all that you are and have, made available to the Lord Jesus Christ as a living member of His new corporate body on earth, which is called the church. This is weird and I believe that there is a better way to explain the Christian life. I think you are correct in stating that the original form of Buddhism has no knowledge of sin. However, I have a feeling that Buddhism is in a process of changing itself from the traditional Buddhism to a new form of Buddhism. The oldest form of Buddhism believes in annihilation, yet newer forms of Buddhism believe that if one accumulates enough good works, one will end up in heaven. According to my Mom, the modern day Buddhism is becoming more and more similar to evangelical Christianity. They sing hymns, evangelize, even use similar terminology as used by evangelical Christians. I know even less about Hinduism than Buddhism. I dislike Buddhism or any kind of idol worship very much since I was a little kid. However, I tried to learn a bit of Buddhism recently for the reason that my sister is a Buddhist. Disregard whether other religions use sin in their terminologies or not, they still adhere to the notion that good works are necessary for “salvation”. T.A. McMahon wrote an excellent article on the subject. As an aside, while I think Lordship Salvation is the predominant false gospel being circulated/preached today (mostly done via redefining saving repentance), I fail to see how it (LS) will play a role in the coming one-world religion. Think of all the New Agers, Hindus, Buddhists, etc.. There is no acknowledgement of sin in these religions…at least not that I’m aware of. Therefore, why and how do you think LS will appeal to them? Thanks for the pointer. I know perfectly well where you stand. Yes, Eddy, that’s him. I know the video well: nauseatingly dramatic music, spliced sound bites and all. I do not recommend the ministry which produced it, which has a mishmash blending of classic lordship teachers like Paris Reidhead, as well as mystics like Tozer. You know where I stand, no need to repeat myself. If you’re really interested, hear the entire sermon in context from which that video was produced. It’s entitled “Knowing Jesus” which I have at my blog, as well as the more familiar sermon sources online. Sorry for mistyping your name. That’s tricky, Jimmy. While I heartily recommend him, I would strongly caution against feeding on the stimulating, intellectual writings of deeper life teachers in general. “Well, there are sixty-six; they’re all bound together, and they’re the best library you can have. Don’t go to your Christian bookstores; all you’ll get there is some sort of neo-evangelical humanism, do-it-yourself stuff: flex your muscles, grit your teeth, stick your chin out. That being said, I’d start with “The Saving Life of Christ”. I also welcome your insights/critiques/questions at my own blog where you’ll also find much more by him. Is the one in this video the Ian Thomas you referred to? Thanks Pearl. Like you, I grow tired of people “throwing the baby out with the bath water”. I personally am convinced that our Adversary has a hay day with such simple mindedness. For example, I recently recommended a great book on salvation to a friend (a book he desparately needed to read IMO). He, my friend, was unwilling to read the book because he disagreed (and incidentally I do to) with the author on a secondary to salvation matter. Childishness. I’ll take a look at some writings by Thomas. Any recommendations on where to begin? Thanks, Jack. I know you meant well, and would agree with your ultimate conclusion. Hi, Jimmy. Absolutely, the common denominator of these teachers is Keswick (I cringe when the phrase “holiness movement” is attached, as all kinds of weird suppositions accompany it). Before my learning of Lordship Salvation in January 2011, I was already beginning to have reservations about many of the teachers coming out of Keswick (beginning with my disenchantment of Tozer in his sermon “The Deeper Life: What Is It?” wherein he called Brother Lawrence and either Merton or Nouwen [I get the two mixed up], together with other catholic mystics, “great men of God” called to cleanse the Roman Catholic Church from the inside out). Oswald Chambers is another one I’d steer clear of. Really, it would be great to have access to the private libraries of all these “great men of God”, as no doubt we’d find the aforementioned mystics, Thomas a Kempis and others. On the whole, I have mixed feelings about Keswick. The premise being sound enough – sanctification by faith, which is totally scriptural, but doesn’t need to borrow one iota from Catholic mystics to substantiate it, which has been my troubling observation. That being said, however, we know the tares will grow alongside the wheat, and all things must be tested. In other words, I’m not willing to throw the baby out with the bathwater. My preference for Maj. Thomas has to do greatly with his strict and heavy reliance on scripture alone to teach sanctification in the Christian’s life. He is quoted often, but he himself did not need to quote men to make his case. The Holy Spirit teaching one the scriptures is sufficient, and all any of us need. I’m not familiar with any of the writings of the authors you mentioned, although I think I’ve heard the name Amy Carmichael. I don’t know anything about the “deeper life movement”. Would you mind expounding? Also, in your opinion, would be similar to the “Keswick holiness movement” (of which I also am really not that familiar with, but have seen a few postings on over at Lou’s blog)? Yes, my broad inclusion of all those teachers as false — was irresponsible. I’ve not heard of Ludy either, but am well familiar with most of those listed who influenced him (some I would distance myself from, others not). I have commented extensively here of my concerns regarding the deeper life movement, so I’ll not rehash it. However, I will repeat that of the movement, there are Arminians, Calvinists and in-betweens (calling themselves “biblicists”). Having read the writings of George Mueller, Amy Carmichael, Frances Havergal, Maj. Ian Thomas, and others, I have a very hard time accepting what I consider to be an extremely careless and broad labeling that they are all false preachers, dubious even! Of these teachers, Maj. Thomas’ ministry has had the deepest impact on me and my understanding of the Christian life. I’ve read both his books “The Saving Life of Christ” and “If I Perish, I Perish” more than once, together with having heard many of his sermons. To this day, I do not consider him to be a false teacher at all. I quote him extensively at my own blog, as well as post many of his sermons for anyone to listen to and challenge. No where does he attach to the gospel commitment of any sort, nor does he teach that a believer can lose his/her salvation based on one’s carnality. He does teach (and if anyone sees anything unscriptural about it, I’d appreciate they show me where he’s wrong) is that the Christian life is Christ’s Life in you (Galatians 2:20). Let’s not confuse salvation with sanctification. As Christians, we are exhorted to grow in maturity in Christ. I really like the questions you posed! On the weekends I go out soulwinning using the “Survey” from Duluth Bible Church’s site. As a result of reading your questions, I’ve reviewed the surveys I’ve done over the last six months. Out of the 316 surveys done, 262 participants were professing christians. Only THREE of these 262 professing believers responded biblically to the question, “If you believe you might go to heaven, why would God let you in?” Ironically, over 200 of the 262 agreed that heaven is a gift not an earned reward. As Ron Shea would say, “Houston we have a problem”. As an aside, Bruce, I finally found time to write a review on Cahill’s book at Amazon. Just wrote it this morning, so not sure if it’s been posted yet. Thanks for encouraging me to do so. Nope, never heard of Ludy — and by your quotes he apparently offers absolutely nothing to the clear Grace Gospel conversation — except AVOID him at all costs.. He appears to be nothing more than a person with no Biblical guide — only scores of writers and preachers of dubious reputation from which he gleans anything to appeal to his audience of the moment. Steer clear of such false preachers. “When Eric Ludy is asked about his denominational leanings, he very simply says, “Just stick Leonard Ravenhill, C.T. Studd, Hudson Taylor, Rees Howells, and Charles Spurgeon into a blender, and that’s pretty close to what I believe.” Ludy is a “deeper life” advocate, a strong proponent of the supremacy of Christ and of the sufficiency of the Word of God. While claiming to preach the true Gospel, it is apparent that his soteriology was derived from what he called “brand of mighties”. After reading his definition of the Gospel, i begin to realize that he doesn’t really know what the true Gospel really is, and typical of many LS preachers, confuses justification with sanctification, whether he knows the true Gospel or not , i believe he is still accursed, Let us remember that Paul is talking to those who adds some works to faith alone for salvation, they know the Gospel, but they think it’s not enough, obedience to the Law is also required, and up to now, this is still the case, only more subtle, they even say that it’s the work of God, namely the change in someone’s life, often they mean change of heart or behavior. I think part of this question has to do with ignorance regarding salvation and rewards. I have encountered very few believers who are even aware that there is a separate judgment for believers, that there will be rewards and loss of rewards. But I think the problem continues with an undue focus on the glory of God –“if God’s primary aim is his own glory, then the church should be adding to his glory, which means the church should be pure, not filled with people who don’t really keep the laws, etc.” They’re concerned with helping God along in his program to gather all the glory he possibly can. But does God need help? How did “helping God” turn out for Abraham in his quest for an heir? And, finally, I think there’s some measure of pride involved, as well. “We’re the real Christians, they’re not,” sort of thing. Looking back at fruit is a self-satisfying project; looking ahead to what you can do and aren’t is a humbling one. Finally, on the survey… Fundamentalism’s anti-intellectual bias has embedded itself deeply in the conservative church at large –and this starts in the seminaries. We’ve become so focused on application that we’ve forgotten you have to have something to apply before you can apply it. Bruce, great comments. The questionnaire reads like a good syllabus from a solid Bible teacher! In addition to what you pointed out, the natural inclination of man is to think that he has to work for salvation. LS proponents, such as Chan, feed that natural inclination. If someone who never trusted in Christ alone goes to an LS church, he is likely to become more lost with each passing sermon. Thanks… The Lord should get the credit for what success we may see on this web site. He brought each of our guests here who have contributed. I am so very pleased that Bruce was willing to assist as a Co-Administrator. He has been a blessing to me and all. You said, “It is uncomfortable for people to put full trust in anyone especially when their eternal destiny is on the line. That could be a big issue with many who want to work their way into Heaven. They say, “God does His part but I must do mine.” I hear that often. Just today I was talking to a relative who mentioned that her Morther-in-Law, an SBC member, said how much she likes and appreciates 700 Club TV show . My relative was shocked, but I was not too surprised with the ecumenical, semi-charismatic nature of so many SBC churches these days,. Your great questions encompass a pretty complete Bible College education.. 😎 However, any regular attender, having a year or so in a good, uncompromising Grace preaching church/pastor should be able to answer those questions rather easily. Also, Bruce, we appreciate your prayers.. Shirley is doing very well. My health and vision are declining noticeably every week or so, but I am encouraged by friend’s prayers and seeing the interest and discernment of our commenters here. We are so blessed! Thanks for another great topic—I’m sure that it will be very enlightening to many people. I trust that you are feeling alright at the present; I pray for you and Shirley often! Your analysis and discussion of Jack’s question was very thorough and solid, thanks! First, I think that there is a general lack of in-depth knowledge of Biblical Scripture among the Christian populace at large. Second, I believe that because of this widespread shallowness of Biblical comprehension, Christians are left wide open to fall for whatever is the latest theological flavor of the month coming down the pike (through popular books, “Christian” television, the internet and radio). A Bible professor of mine once said, “If you don’t stand FOR something, you’ll FALL for ANYTHING!” How else can one explain the huge acceptance (well over one million copies sold to date) of an unbiblical caustic LS book like “Crazy Love,” by Francis Chan. Over two-thirds of the reviewers on the leading book sites have given the book glowing comments and multi-star ratings. Thank God that a minority of reviewers did GET IT, that is, they did understand that the book taught false doctrine and they expressed that fact in their reviews. Suppose, for example, that one thousand random regular church attenders were chosen from various large Christian churches in America and instructed to articulate a Biblical position on the following topics listed below. How many of the one thousand churchgoers could give solid Biblical answers to the following questions? Fifty? One hundred? Two hundred? Five hundred? More? Less? 1. Describe the plan of salvation, as described in the New Testament, and give verses to support your answer. 5. Where do unbelievers go when they die? 6. Discuss the nature of God. 7. Describe the fall of Adam and how it affects mankind. 8. Describe the history of Israel. What is the difference between Israel and Judah historically. 9. What is the millennium? 10. What is the rapture? How does it differ from the Second Coming? I could list more issues, but I think that you get the point. Jim F, great comments! Complacency is a big problem, as is compromise. Jack, interesting questions. I think a big problem is that Satan is a very skilled liar. What better way is there to spread untruth than to get someone credible to incorporate small amounts of untruth over time into their messages. Eventually small changes lead to bigger changes. Satan did not have to struggle to get Adam and Eve to sin. All he had to do was get them to question God. Satan is using an appeal to pride today as far as the gospel is concerned. The is a natural pride in man that seeks to always have a part of the equation. It is difficult at times to get people to understand that salvation is freely offered to all who will believe. That is change their mind about who Christ is and what he has done for the remission of their sin and believe. It is uncomfortable for people to put full trust in anyone especially when their eternal destiny is on the line. Fully trusting Christ means relying on his finished work on the cross to save you from the punishment of sin. It means there is nothing you can do before or after to earn or merit this salvation. This is were many are deceived. I’d say that those who truly teach and preach the Lordship gospel are preaching another gospel and the part about being accursed would fit. There are also many people who get swept up by the likes of Washer, Piper, Friel, White, MacArthur, etc. who may be well meaning or sincerely seeking that get lead astray. Unfortunately true believers are not free of responsibility. There is much more that each one of us can do to be better examples, better at discipling new believers, more diligently spreading the true gospel. Complacency is a big problem in Christianity in America. Many do not realize the urgency of the day nor what scripture presents in the following verses. I Pet 5:8, Eph 6:10-18, Heb 10:25, I Tim 6:3-12, II Tim 2:1-2,15, 3 – 4:8, and Titus 1:9-16. We as believers are in an all out war for the truth. Thanks Jack for being one who hosts a blog that takes a stand in this battle. We have MacArthur fans who affirm that he knows, believes and preaches the gospel of Grace.. yet we have quoted many statements from JMac refuting that very claim,. Maybe mega-church, fame and $$$ play a part? YES. We should assume that he either does not know or does not believe the Gospel. We cannot know whether or not he ever believed the Gospel and whether he is or is not saved. But, in either case, we must assume that he does not currently believe the Gospel. I find that the most ardent LS advocates hate hearing the truth. Particularly those who have brought their children up in that “faith”. I do know some people from LS backgrounds that are receptive to the truth. But, the residue from LS teaching is really sticky. Also, thank you for mentioning the Grace teachers who can’t seem to break away from “big names”. In addition, believers who yoke themselves with unbelievers are a big part of the problem (i.e., those who go to churches that either directly compromise the gospel or are affiliated with denominations that compromise the gospel – such as the one that you mentioned in your article). If believers would refuse to go to LS churches, there would be more Grace churches. In my years of preaching and teaching I personally find it difficult to imagine so much “error by innocence.” You may be right — you have recently tangled (in person) with more LS proponents than I. However I do find those who preach it, when confronted with Truth, most often vehemently reject it outright. There are churches that are based almost entirely on the extra-biblical writings of men. Luther, Wesley, Spurgeon, Macarthur, etc. These human, flawed men have been taken at face value – bag and baggage. Every word they uttered is considered valuable. Yes, unfortunately we see these “valuable” words crop up in writings of otherwise solid Grace teachers. They just can’t seem to break away from “big names” who vacillate between the truth and the lie. Jack, I think it is mostly innocent. But, it does not matter. The real question is this: are they teaching false gospels? I think the answer is unequivocally YES. Therefore, the messages and the messengers are accursed. Why do they do it? The Gospel has become corrupted with the collective errors of everyone who has perverted it, in one fashion or another. The corruption has come from believers and non-believers alike. From believers, it has come from not heeding the myriad warnings in scripture to beware of those who would corrupt the Gospel. From non-believers, it has taken all sorts of forms from political and economic imperialism, to greed, to subjugation and control of individuals, congregations and denominations through replacement of faith with legalistic cults that incorporate the name of Jesus Christ into their man-made religions. In the modern “church”, the Bible plays second fiddle to church traditions and “great men of God”. There are churches that are based almost entirely on the extra-biblical writings of men. Luther, Wesley, Spurgeon, Macarthur, etc. These human, flawed men have been taken at face value – bag and baggage. Every word they uttered is considered valuable. Churches spend more time arguing over what their preferred brand of legalism is than on presenting and preserving the Gospel. They have led their congregants to believe that self-denial will buy them salvation. People want to help Jesus save them. It makes sense to people to think that they have to behave themselves to go to heaven. The cross is foolishness to those who are perishing. Mature “believers” don’t want anyone else to get a free ride. So, they teach commitment salvation. People like to go along with the crowd. The crowd is not saved.